This isn't gardening related, but it's worth mentioning. When there's so much depressing garbage out there, it's wonderful to see artists capturing the beauty of nature. ...I'm still recovering. You may have seen my art site before - I now strive to capture beauty rather than pour my rage and angst onto the canvas as I did as a younger man, but it's mostly just for fun rather than for shows. Some years back I was entering gallery shows multiple times a year and actively selling my work. Now, of course, I don't paint as often as I would like because of my nursery, writing and homesteading work; however, I can live vicariously a bit through the success of friends like Tim. 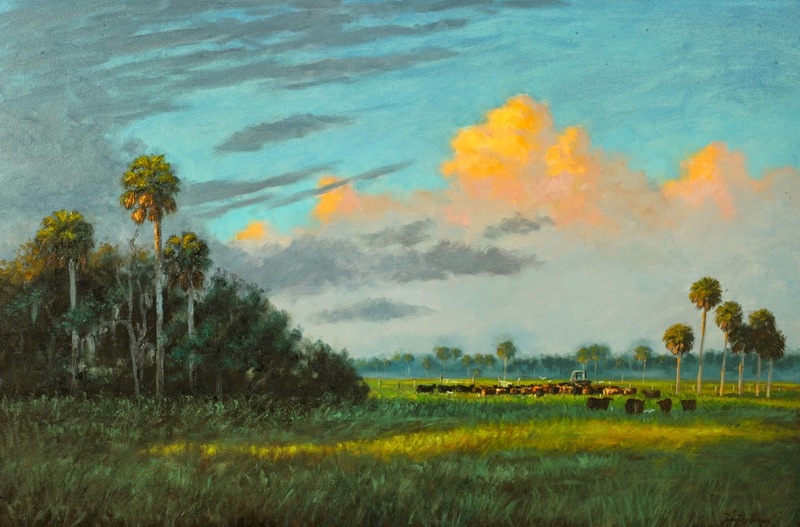 Florida is a wonderful state and artists that capture her beauty should be commended. Tim Forman is doing excellent work and I'm looking forward to seeing him on the national stage. Check out his site - lots to see there.